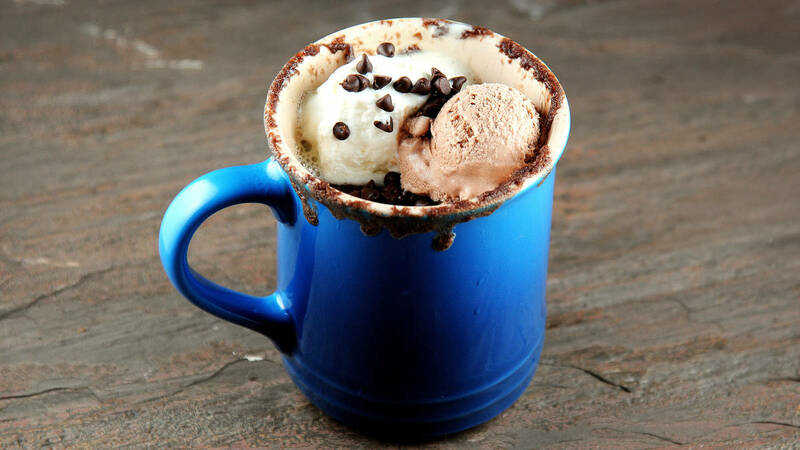 Using a 10-16 ounce microwave safe coffee mug, spray the insides with non-stick baking spray. Add 7 tablespoons of cake mix. Add the butter, yolk and milk to mix and mix thoroughly. Place in microwave and heat on high for 3 minutes (microwave strengths vary and so your time might need to vary as well). The cake will probably rise above the top (depending on size of mug) don’t worry, it will sink back down. Let cool for about 5 minutes. Top with your favourite ice cream or whipped cream or both...or even frosting.